Distinguished professor Dr. Susan Muller of University of California, Berkeley is coming to CHBE to give a seminar as part of our Speaker Series. The Seminar will take place on Monday, March 10, between 12:00 – 1:00pm, in CHBE Room 202. All are welcome to attend. The small length scale associated with microfluidics make these devices uniquely suited for a range of studies, including mixing in low Reynolds number-high Peclet number flows, the stability of high Elasticity number flows, the dynamics of individual microscale objects, and migration of particles and vesicles in suspensions. In this talk, I will briefly review recent developments in rapid prototyping methods and describe our recent work using microfluidic stagnation point flows and on migration in suspensions. Microfluidic stagnation point flows, including cross-slot devices and microfluidic four roll mills, have been designed to trap, manipulate, and analyze genomic DNA, particles, drops, capsules, and vesicles. Using these devices, we have demonstrated DNA target sequence detection, site-specific single molecule kinetic analysis of DNA-enzyme interactions, and measurements of the kinetics of polymer-salt induced DNA compaction. More recently, we have extended these studies to single capsules and vesicles, where our interests include measuring membrane properties through controlled deformations, and subsequent studies of migration in channel flows of suspensions of particles of controlled size, deformability, and shape. Susan J. Muller is currently Associate Dean of the Graduate Division, and Professor of Chemical & Biomolecular Engineering, at the University of California, Berkeley. Professor Muller has worked on problems related to polymer fluid mechanics, rheology, and microfluidics for over 25 years at MIT, Schlumberger Cambridge Research, AT&T Bell Laboratories, and the University of California, Berkeley. 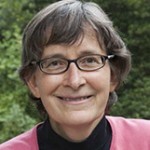 She has worked extensively in the area of viscoelastic instabilities in Taylor-Couette flows, the role of polymer-solvent interactions in determining macroscopic flow behavior, shear-induced migration of polymers in dilute solutions, the design of microfluidic devices, and the use of stagnation point microfluidic devices for trapping, manipulating, and analyzing DNA, DNA-enzyme interactions, vesicles, and other microscale objects.